November 14, 2011 – Noise from shipping, wind farms and oil exploration is forcing whales to raise their mating calls to make themselves heard. Whales are having to shout to make themselves heard. Scientists have found their calls have become 10 times louder over the past 50 years as they battle against the roar of ships’ engines, propellers and sonar. Wind farm construction is adding to the din, creating constant low-frequency pulses, as do seismic surveys for oil. The findings come as the seas around Britain have become some of the world’s noisiest because of shipping traffic and wind farm construction. Some experts fear the noise will drive many whales away from the seas around Britain altogether. Whales are renowned for their ability to communicate using low-frequency noises. The sound waves are hardly deadened at all by water, so larger species such as blue whales, which emit the lowest frequencies, might communicate over hundreds of miles. Because the number of most large whale species is now estimated at less than 5% of their natural level, the ability to communicate over such distances could be vital to finding mates, but Tyack and other scientists fear human-induced noise risks drowning out or ruining the mating songs. Susan Parks, an assistant professor of acoustics and ecology at Pennsylvania State University, worked with Tyack and other colleagues to attach temporary recording devices to the backs of 14 right whales. The tags recorded the whales’ calls and background noise, as well as the animals’ depth, orientation and direction of travel. 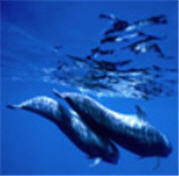 The researchers compared the sounds emitted by the whales against different levels of background noise. All 14 whales had to emit calls about 10-12 times more powerful than this ambient noise in order to be heard. The need to call out more loudly means modern whale communication is likely to be limited to shorter distances, because of the background noise and because louder calls have a shorter wavelength that is more quickly deadened by water. The louder “shouts” also consume much more energy. In the research, two whales that were recorded only in high-noise surroundings were shouting all the time, sometimes reaching 150 decibels. Sounds in the oceans are not directly comparable to those in the air, but a jet taking off would emit about 140 decibels. One question was whether noise increases in the past 50 years have caused long-term changes in whale communication. In a separate study, Parks and her colleagues compared the sounds emitted by modern whales with recordings from the 1950s to the 1970s. The results showed that human noise, mainly shipping, has increased by 10-100 times above the earlier levels. The implication is that whales have been forced to start shouting to be heard – particularly in noisier waters. Noise from shipping, wind farms and oil exploration is forcing whales to raise their mating calls to make themselves heard. Whales are renowned for their ability to communicate using low-frequency noises. The soundwaves are hardly deadened at all by water, so larger species such as blue whales, which emit the lowest frequencies, might communicate over hundreds of miles. Further research is likely to be complicated. One problem is that the sea is a noisy place, with wind, currents, rain and thunderstorms contributing. Humans have already had a serious impact by destroying more than 95% of whale stocks, a change that will have made the oceans rather less noisy. “There is a lot of natural noise, but it varies with loud and quiet periods, whereas shipping noise is more constant,” Tyack said. “For whales there are so few left that finding each other over the din could be crucial to keeping species going.” There is one slightly embarrassing finding for scientists: some of the largest noises in the ocean come from them. “Ironically, the sonars used on research ships are among the loudest sounds whales might hear,” said Boyd. October 21, 2011 – (James Navarro – Defenders of Wildlife): Conservation groups told the Kern County (California) Board of Supervisors today that a large-scale wind-energy project proposed for the southern Sierra Nevada needs to go back to the drawing board and be redesigned to avoid risks to endangered California condors, golden eagles and other rare bird species. The groups filed a legal challenge in Kern County Superior Court in California, seeking to reopen the environmental review for the 100-plus-turbine wind project approved by the county last month. Kim Delfino, Defenders’ California program director. The conservation groups remain hopeful that the project can be redesigned to avoid the most sensitive areas, greatly reduce the risk to California condors and golden eagles, and provide enhanced mitigation measures such as requiring the use of radar to monitor for incoming flocks of birds so that turbines can be shut down in time to avoid massive collisions. The groups have met several times with the developer prior to filing the lawsuit, but have yet to resolve these concerns. The project consists of two components: North Sky River, by NextEra Energy, and the much smaller Jawbone project, by a private landowner. The project area is in the middle of a flyway regularly traversed by migratory birds. California condors were also documented flying near the project site this summer. The wind energy project puts endangered California condors at risk. The proposed project is directly north of the Pine Tree Wind project, which is under federal investigation for killing at least six legally protected golden eagles. More than 50 sightings of golden eagles were made, and some 15 golden eagle nests found, within 10 miles of the North Sky site during an environmental review of the project. The alarming potential for impacts to rare and endangered species prompted warnings from the U.S. Fish and Wildlife Service and the California Department of Fish and Game in letters to the county supervisors. This wind project highlights the urgent need for a smart-from-the-start renewable energy strategy that guides development away from sensitive wildlife habitat to places with the lowest chance for conflicts. Kern County officials approved the project despite the warnings from wildlife agencies and conservation groups, allowing the project to move forward without having to undertake sufficient conservation measures to offset or minimize impacts on wildlife. 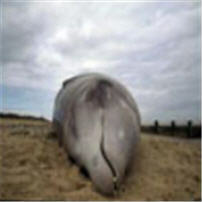 March 15, 2011 – Offshore wind farms are one of the main reasons why whales strand themselves on beaches, according to scientists studying the problem. Does industrial wind and wildlife really mix well? I would suggest no. There has been much research into the affects of industrial wind turbines and its deadly affect on bats and birds, but little to none on mammals. The effects on both livestock and wildlife are starting to be realized by land owners, and by hunters and trappers. The effects of wind turbines on domestic animals are thankfully starting to be recorded, such as 100 goats dying in Taiwan because they could not feed. The turbines noise kept them “instinctively on alert” for predators to the point they could not eat. The livestock of an Ontario cattle rancher having many still born and what few calves were born were attacked by their mothers who kicked and bit them, others refused to nurse their young as a result of the affects of newly installed industrial size wind turbines. These are but two recorded and reported examples. Domesticated animals cannot escape the noise and shadow flicker of wind turbines because of their restricted (fenced in) range resulting in these types of incidents. The higher forms of wildlife such as deer, bear, moose, and many furbearers take the option of leaving the immediate area of industrial wind complexes. But by this action, they are forced into habitat that is already occupied resulting in conflicts such as over browsing and an increased rate of predation. 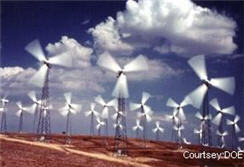 These activities have been recorded in various locations where industrial turbine complexes have become operational. The loss of habitat due to road, transmission line, and turbine site construction also results in the loss of thousands of acres of habitat. The affects of the turbines on the lower forms of wildlife such as rodents, snakes, and even insects is an unknown to date. They all have their place in the chain of life and any single loss will affect other wildlife and also the overall environment. The hydrology of the mountains may also be impacted by the deep bed rock blasting that is required to make the foundations for the 400+ foot tall wind turbines. This may affect our drinking water supplies and the surface waters that hold various species of life including our beloved cold water brook trout and landlocked salmon fisheries. Fragile and rare high alpine vegetation will be destroyed by mountain top wind development. In places such as Maine, moose will be driven off the high mountains sides where many go to have the cold temperatures of winter freeze off their tick infestations that can if bad enough weaken them to the point that they may parish. The pine martin, one of the most valuable of our fur bearers thrives on mountains with heavy spruce growth. Our depleted northern deer herds will be further stressed and damaged due to the fact that the low frequency noise and construction will force them from current habitat. The use of herbicides to prevent re-vegetation may cause long term harm to wildlife, aqueduct species, and maybe our own drinking water. The possibility of forest fires will be greatly increased due to lighting strikes to the turbines and overheated gearbox lubricants igniting. This is in areas mostly far removed from any firefighting equipment and men. The affects of industrial wind on wildlife (other than bats and birds) is not being actively researched by various federal and state fish and game departments due to several reasons, such as a lack of funding and most commonly due to political pressure where state administrations do not want anything negative being brought to light. This is because they support wind power development along with its tax incentives, stimulus monies, political gains, and of course their own long term pocket wealth over that of the welfare of wildlife. The loss of revenues generated by wildlife such as licensing fees and employment related to hunting, fishing and trapping industries which generates millions annually for the states affected by industrial wind is not in their greedy equations. It must be noted that the scientific and medical communities are realizing the effects of low frequency noise and the strobe affect of the blades in sun light that cause mental and medical problems in humans. Even this is being contested and down played by the big wind companies with their multitude of lawyers and our greedy politicians who gain to lose face and wealth by opposing big wind. They are doing all they can to discredit those who oppose big wind. 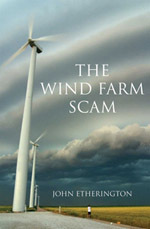 Along with that, they come into communities where they want to place commercial wind turbine complexes and buy off the local governments and tax payers with bribes of reduced electrical fees, offers to pay for lawyers to represent the local communities during negotiations, and cash settlements with private individuals who have to sign agreements not to publicly oppose them for the duration. Here in Maine we are staged to lose over 350 miles of mountain tops along with many thousands of acres of habitat. Most of the land is privately owned and the land owners cannot be blamed because of upfront monies, reduced tax burdens, and long term leases. This is all done with stimulus funding which are our federal tax monies or that borrowed by our current federal administration from foreign countries which will hurt generations of Americans for many decades. The sad part is that wind power generation is not even cost effective, nor does it reduce carbon emissions because more coal and oil fired generation plants must be built to back up wind power generation which is a variable dependent on wind. These are the basic reasons I feel that commercial wind generation is not beneficial to wild life, along with consideration of its impact to the human race. I ask that you form your own opinion on this matter, but please educate yourself on the pro’s and con’s of this subject before forming that opinion. 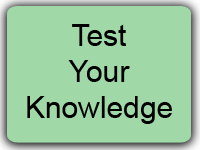 There are many websites that will educate one. All you need to do is search or Google industrial wind or wind turbines. 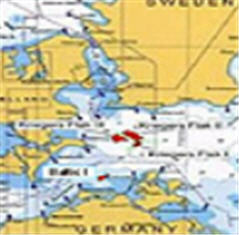 September 8, 2010 – Baltic I wind park is 15 km from the Baltic shore where the dead whales washed up. August 23, 2010 – Experts probing the so-called ‘corkscrew deaths’ of seals on Britain’s East Coast believe the building of a huge offshore wind farm could be to blame. The corpses of 50 seals with a clean ‘corkscrew’ cut running from head to tail have been washed up over the past 18 months. A dozen of the mutilated seals were discovered off St Andrews, Fife, and in the Firth of Forth. The farm will comprise 88 260ft turbines capable of generating electricity for 220,000 homes. It is thought that the seals have fallen victim to boats with ducted propellers, which have a non-rotating nozzle. The propellers are surrounded by metal casing, which allows greater fuel efficiency for boats with heavy loads. The injuries are thought to occur when the mammals are sucked into the propeller and ejected at the other end, causing the tell-tale deep, smooth, spiral cut. Death is caused by massive tissue damage and loss of blood. Dr David Thompson of the seal mammal research unit in St Andrews said: ‘We don’t think the deaths are being caused by wind farms per se – but there may be a link with the traffic associated with them. The wound looks as if the animal is being hit with something with a right-angled edge, but the animal is then rotating against that blade. The seal unit was asked to probe the cause of the injuries by Environment Secretary-Richard Lochhead. The RSPCA, National Trust and the Veterinary Laboratories Agency are cooperating in the investigation. 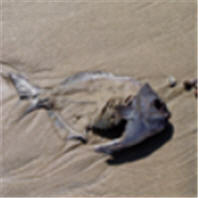 Mr Lochhead said he was ‘hopeful’ the team at St Andrews would get to the root of ‘these disturbing seal mortalities’. August 4, 2010 – Noise pollution from shipping, drilling for oil or wind farms could lead fish away from their natural habitat into areas where they could die, potentially devastating future fish stocks. A UK-led team made the discovery while working on the Great Barrier Reef as well as debunking the myth that fish have three-second memories. Dr Steve Simpson, senior researcher in the University of Bristol’s School of Biological Sciences, said: “When only a few weeks old, baby reef fish face a monumental challenge in locating and choosing suitable habitat. After developing for weeks at sea, baby tropical fish rely on natural sounds made by fish, shrimps and sea urchins as a cue to find coral reefs where they can survive and thrive. With human noise pollution from ships, wind farms and oil prospecting on the increase, this crucial behaviour is coming under threat. The study is published in Behavioral Ecology and was carried out at Lizard Island Research Station. 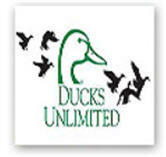 Ducks Unlimited Canada Newsletter EASTERN REGION (Ontario) – August 4, 2010 – Ducks Unlimited Canada (DUC) is in support of environmentally sustainable sources of energy that reduce our reliance on fossil fuels. We recognize, however, that all forms of power generation entail environmental trade-offs, and that there are drawbacks to alternatives including wind turbine developments. Our organization is concerned about our sustainability of such developments and that they are implemented in geographic locations and in a manner that does not negatively impact waterfowl populations and the wetland and upland habitats on which they depend. DUC has significant concerns with the means by which, and the rate at which, renewable energy projects are being implemented in and adjacent to critical, continentally-significant staging habitat for waterfowl and migratory birds. Research has shown that direct impacts on waterfowl (mortality from flying into wind turbines) is generally minimal, but there is a lack of science investigating both the indirect impacts (disturbance, habitat fragmentation, etc.) and the cumulative impacts of multiple wind farms on the waterfowl and their habitat. To that end, DUC has encouraged the Province of Ontario to address this uncertainty by conducting the necessary sound science that will concentrate on these issue. Understanding when and where wind developments are planned can be a challenge. As a result, DUC also recommends that the Province enhance the transparency of the regulatory process including the development of an improved method of engaging the public in consultations and being more responsive to the comments expressed. DUC strongly believes that the approval process and scientific monitoring associated with wind turbine developments must be enhanced and as such, DUC will continue to promote and partner in relevant research initiatives to strengthen our knowledge and understanding of the impacts of wind turbines on waterfowl. However, until the impacts on waterfowl are better understood, DUC is calling on the Province to establish a moratorium on all wind turbines and renewable energy projects in areas providing continentally-significant staging habitat for waterfowl and migratory birds. My home is now virtually uninhabitable because of the infrasound and low frequency noise emanating from these turbines. We (the locals) also believe the turbines/substation is generating stray voltage, a matter we are having trouble in finding a government body for which to be held accountable. I do still live here, but only because I cannot afford the financial burden of an additional mortgage and property taxes. Upon commission of the Clear Creek wind farm I started to exhibit many symptoms that could be identified with Wind Turbine Syndrome. Because of a layoff this past summer, I now spend each and every day at home. The ensuing constant, prolonged exposure, has caused my health to decline rapidly. I live in Clear Creek adjacent to the wind farm. Once again, I’ve been woken up by the turbines. I can hear the deep humming sound and I can feel the vibrations through my entire house. Both are even more detectable when I lay my head down to sleep. I can hear and feel them through my pillow. Another thing. There are no frogs in my pond this year. It takes 150 paces to circle my pond. It used to be with each step or so I could hear one jump into the water. I don’t believe they could see me coming for all the bulrushes around the edges and with banks 5 to 20 feet high. They were able to detect my footsteps as I approached. It would be my guess that these vibrations are intolerable to them as well. Either that or the vibrations have stopped the eggs from developing. But they’re not there anymore. Not one. It’s now past 3 AM; 4 hours later and the killdeer are still disturbed. If they don’t sleep now and have to sleep in the day to compensate for it, how do they find time to gather the food they need? This low-frequency/infrasound is making me dizzy, and the vibrations can be physically felt when I lay my head down. A couple of weeks ago, desperate for sleep, I actually went out to my truck at 4.30 AM, thinking the rubber tires would eliminate the vibrations. This actually worked, although you could still hear the hum and I was still dizzy. Tonight, the killdeer are up in the trees, calling to each other. I think in an attempt to do the same thing. If this ‘noise’ can make a human skull resonate, make me dizzy, what does it do to the skulls of these killdeer and other small-framed animals? What does it do to their internal organs? Three times I have traveled 20 km away on bad nights to escape these vibrations. On those nights I could still hear and feel the vibrations through the couch I slept on – 20 km away. I could tell they were from the wind farm because of their cyclic rhythm. Although the impact of industrial wind farms on migration is necessary and commendable, it is my concern that not nearly enough attention is being paid to the seismic vibrations generated by these wind farms. In addition to the above account, I have noted killdeer eggs in my driveway that never hatched. There are alarming reports of fewer snakes in our area. This in conjunction with reports of stillborn seals in the vicinity of offshore turbines, reports of pregnant women being hurriedly bought-out, silenced and gagged. Having experienced these vibrations for myself, I really worry about the impact of industrial wind farms on the eggs of all creatures that reside on the ground, in the water; the impact on the environment as a whole. Vibrations felt from 20 km away. Despite the attraction of wind as a nearly pollution-free power source, a Texas Tech University wildlife ecologist cautions that a tsunami of modern wind turbines dotting the South Plains of Texas could have as yet unknown ecological consequences on critical wetlands known as playas. And there are plenty of playas on the Texas High Plains and in Eastern New Mexico – approximately 22,000, in fact. Indeed, it’s the largest concentration in the world. Playas act as natural water storage sites, providing irrigation water and seasonally recharging the Ogallala, the nation’s largest aquifer. “We don’t have any information specific to this region about the effect of wind farm construction on wildlife, and that’s a problem because the Panhandle and South Plains of Texas are going to be major players in the wind industry,” said David Haukos, an adjunct wildlife ecology professor in Texas Tech’s Department of Natural Resources Management. Texas, once the oil capital of North America, is rapidly turning into the capital of wind power. After breakneck growth the last three years, the state has reached the point that more than 3 percent of its electricity, enough to supply power to 1 million homes, comes from wind turbines. But wind power is just gaining a toe hold here. Up to this point transmission capacity has limited the number of wind farms. But with the recent approval by the Texas Utilities Commission for construction of new transmission lines, the number of wind turbines is expected to increase dramatically in the next five to 10 years. Other wildlife researchers have found that in European wetland settings, birds have tended to avoid wind turbines. And avoidance of playas is not the impact anyone wants since these miniature wetlands are directly related to the success of wildlife survival and associated conservation efforts. “Playas are much like an ecological oasis for wildlife,” said Haukos, who serves as a regional migratory bird specialist for U.S. Fish and Wildlife Service. Estimates suggest that some 2 million waterfowl winter on Texas playas, making it the second largest wintering site in interior North America for ducks and geese. Furthermore, wildlife supported by playa habitats has spawned a thriving lease-hunting industry in the region, while simultaneously providing a popular draw for money-spending birdwatchers and nature photographers, as well. On the Southern High Plains specifically, playas only occupy about 2 percent of the land area. They’re normally small; 90 percent of them are less than 30 acres in size. But these small, scattered wetlands form a system that supports most of the life in the area whether it’s plants, animals or people. Today, there is no regulation that prohibits constructing a wind farm next to a playa on private land. There are some voluntary guidelines from Texas Parks and Wildlife and U.S. Fish and Wildlife for wind companies to consider, but none are mandatory. Separately, several Texas Tech studies are under way examining wind farm construction, including their effect on bats and lesser prairie chickens. In addition, wind farm companies have been coming to the Lubbock campus looking for setback guideline recommendations, as well as bird surveys and migratory patterns.